Preliminary exit poll results in NJ and VA will be available starting at 5 p.m.
Pushback against President Donald Trump helped lift Democrats to governorships in the two highest-profile U.S. elections since the 2016 presidential contest. 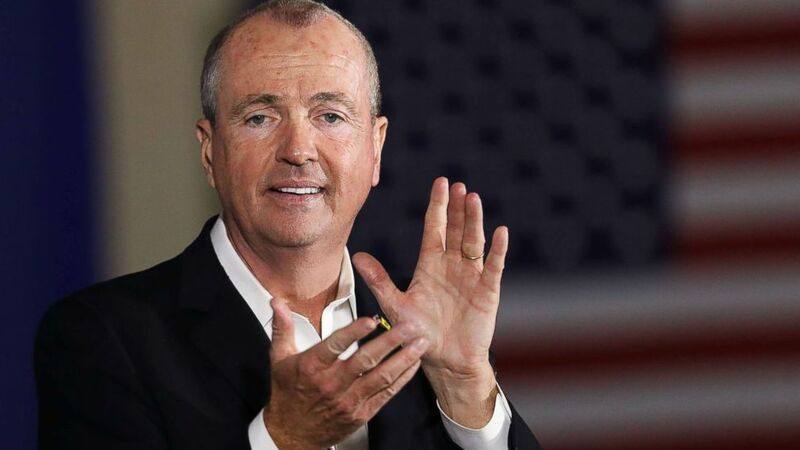 Phil Murphy, the former U.S. ambassador to Germany, is projected to win New Jersey's gubernatorial election, based on ABC News' analysis of the exit poll. Sweeping backlash to the deeply unpopular Chris Christie, a Republican, became a focal point of the campaign that pitted Murphy against the state's Lt. Gov. Kim Guadagno. Based on ABC News' analysis of the vote, Lt. Gov. Ralph Northam, will win the Virginia governor's race. In Virginia, voters by a 2-1 margin said they were casting their ballot to show opposition to Trump rather than support for him. In New Jersey the margin was 3-1. And Trump’s weak approval rating among voters in Virginia, 40 percent, was weaker still in New Jersey, a dismal 34 percent. Trump’s approval rating in Virginia, notably, was 14 points weaker than that of the incumbent Democratic governor, Terry McAuliffe. Further, 51 percent of voters expressed a favorable attitude toward the Democratic Party overall, vs. 37 percent for the Republican Party. The gap in the parties’ popularity was even more striking in New Jersey. And again turnout among liberals peaked, at its highest in New Jersey gubernatorial races since 1993. So did turnout among Democrats, who accounted for 44 percent of voters, vs. Republicans’ 28 percent. VIRGINIA – In the bitterly fought Virginia race, 34 percent of voters in the network exit poll said they were voting to express opposition to Trump, vs. 16 percent who said they were voting to show him support. Gillespie prevailed among those who said the president wasn’t a factor, marking the anti-Trump vote as critical to Northam’s victory. (Spencer Platt/Getty Images) Democratic candidate Phil Murphy, who is running against Republican Lt. Gov. Kim Guadagno for the governor of New Jersey, speaks at a rally on Oct. 19, 2017, in Newark, N.J. Turnout by liberals was up sharply from previous gubernatorial contests, to 28 percent of all Virginia voters, up from 18 percent in the 2009 race and 20 percent in 2013. (It was 26 percent in 2016, when Hillary Clinton notched her only southern-state win here.) Conservatives, at 30 percent of voters, were off their 2013 level, 36 percent, and their 2009 share, 40 percent of voters in the state. Northam won a remarkable 60 percent of women in the state – an even larger share than Clinton’s a year ago - vs. 48 percent of men. He won even more voters under age 30, 67 percent, as well as six in 10 of those age 30 to 44. Also helpful to Northam was that, given a list of five issues, Virginia voters by a wide margin picked health care as the top concern in their vote for governor; those who did so favored him by 77-22 percent over Gillespie. Other issues offered were gun policy (the two split voters who called it their top issue), and immigration, taxes and abortion (all wins for Gillespie, but not by enough). Gillespie won vast support from evangelical and working-class whites. Whites overall accounted for 67 percent of voters, the same as in the 2016 presidential race, and down from their 2013 and 2009 shares. They backed Gillespie by a 15-point margin, while Northam won nonwhites overwhelmingly. Gillespie prevailed on at least one issue: Virginia voters by 57-39 percent said Confederate statues in the state should be left in place, and he won by a wide margin among those who held that view. But Northam led in trust to handle race relations overall. And, perhaps above, all, the anti-Trump tide turned his way. NEW JERSEY – In New Jersey, the unpopularity of not one but two fellow Republicans doomed Kim Guadagno’s bid for governor: Trump and Gov. Chris Christie alike. Twenty-eight percent of the state’s voters said they were seeking to express opposition to Trump, nearly three times as many as said they were voting to support him, 11 percent. Given an even split among voters who called Trump a non-issue, the president’s unpopularity was central to Democrat Phil Murphy’s support, as it was for Northam in Virginia. Christie, for his part, received a strikingly dismal 21 percent approval rating from his state’s voters. And 51 percent said they thought worse of Guadagno, his lieutenant governor, because of her association with him. A mere 4 percent said it made them think better of her. In a striking turn in the Democrats’ direction, independents in New Jersey favored Murphy over Guadagno, 51-44 percent, after backing Christie by a vast 34-point margin four years ago. And while three in 10 voters overall cited property taxes – a frequent Guadagno talking point – as their central issue, even more said corruption in government was the main issue in their vote, and two in 10 picked health care. Both were strong issues for Murphy.